Got games to trade? Here is the place to do it! 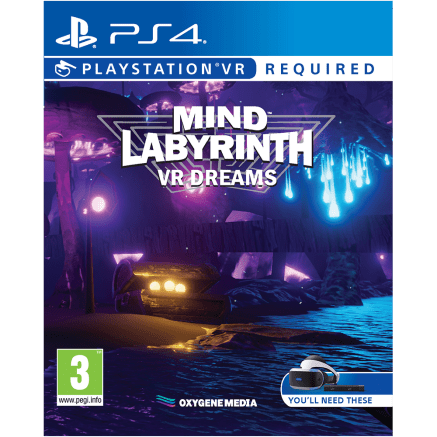 Anyone from France able to help get a copy of Mind Labyrinth for PSVR and ship to the UK please? I got one for nosavedata recently from german Gamestop. He said it was exclusive there. But I live near the french border and can try to get one there if they have (must be a local store, no french gamestop near). doenerroemer wrote: I got one for nosavedata recently from german Gamestop. He said it was exclusive there. But I live near the french border and can try to get one there if they have (must be a local store, no french gamestop near). The only reason I say France is because it was on Amazon.fr but would only ship to the metropolitan area, but it's now sold out. Can you easily get the German version? Probably yes, I will check and write you a pm! Yeah so far I'm aware it's a German gamestop exclusive. Been so busy with work I still haven't played it. Many thanks again doenerroemer for grabbing me this. How is the doctor who game. nosaveddata wrote: Yeah so far I'm aware it's a German gamestop exclusive. Been so busy with work I still haven't played it. I haven‘t played it, yet. My wife found out it has some kind of coop-feature so we will play it together, but haven‘t had any time! Fries wrote: I've been communicating with Frost Earth Studio, the developers of Mind Labyrinth, for the past few days and they just gave me an update that the game is now available in the UK! This release of Mind Labyrinth VR Dreams drops on April 12th. They hope to have an NA release soon as well. Bloody typical eh. Literally the day after someone picks up the German version for me. Welcome to the forums Tentacle_Blue!